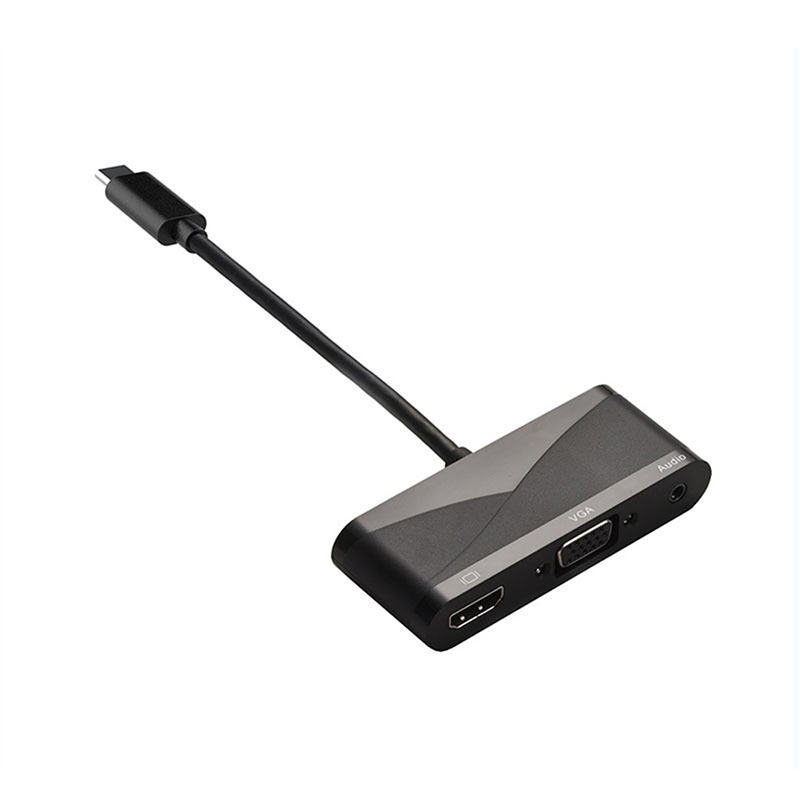 1, USB 3.1 Type C latest interface, both positive and negative can be used. 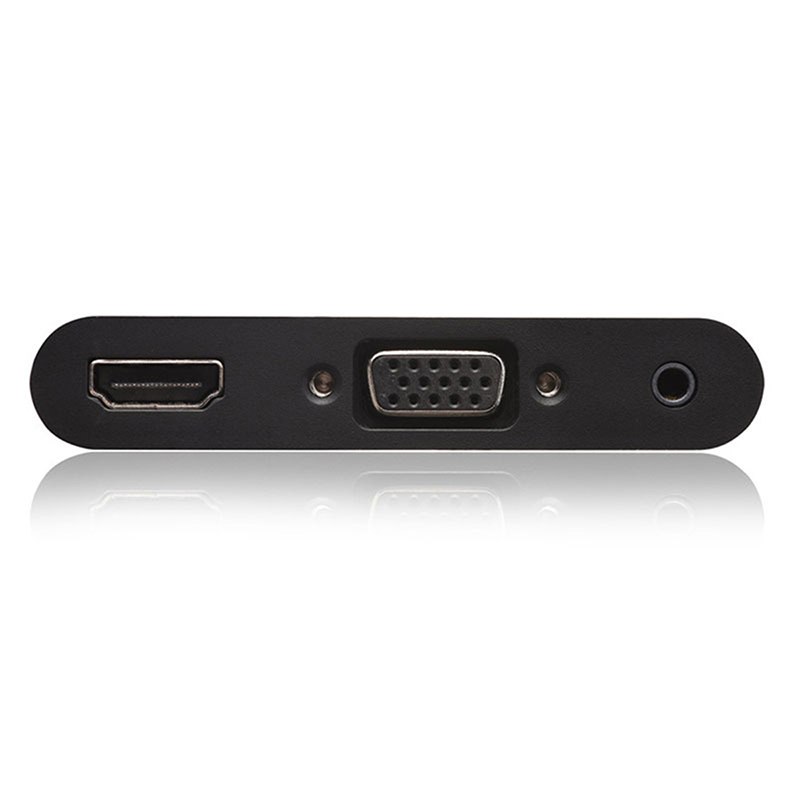 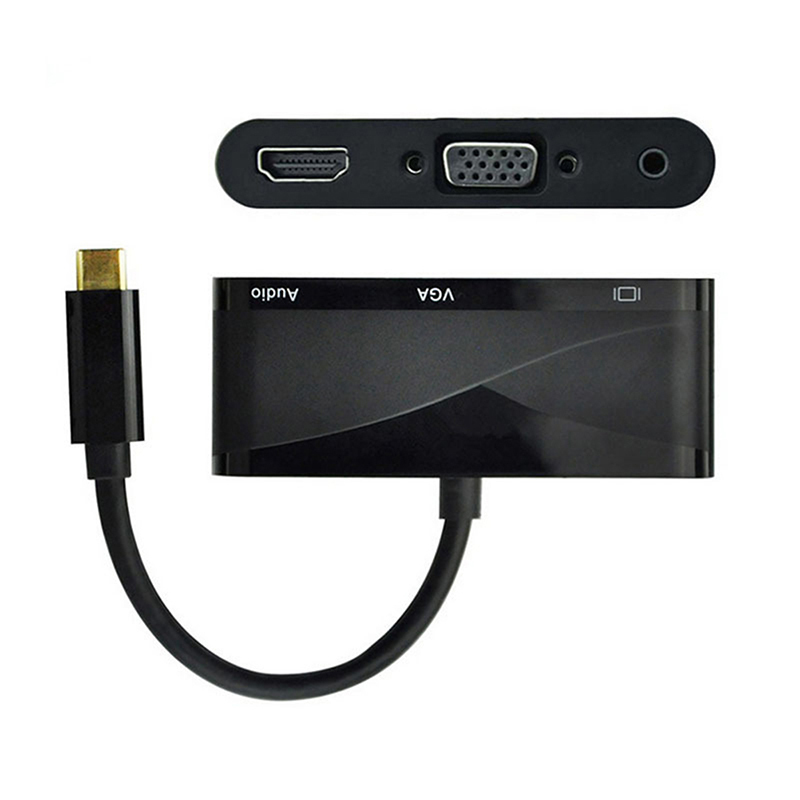 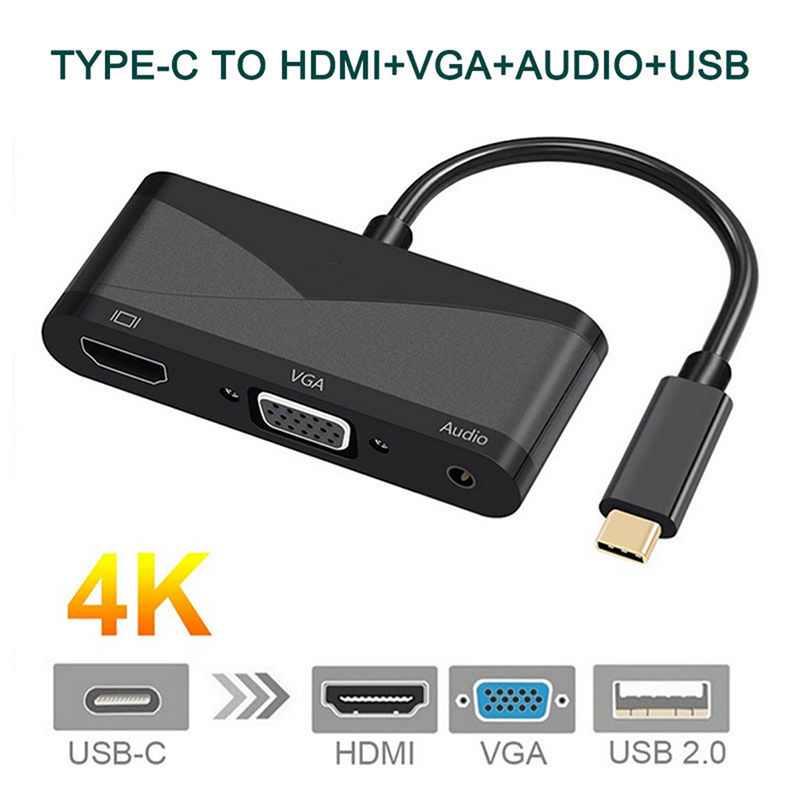 Product Features: This product is a portable multi-function conversion cable that is converted to (VGA + data + HDMI video) multi-purpose applications via digital signal input with USB 3.1 Type C (DP mode) connector. 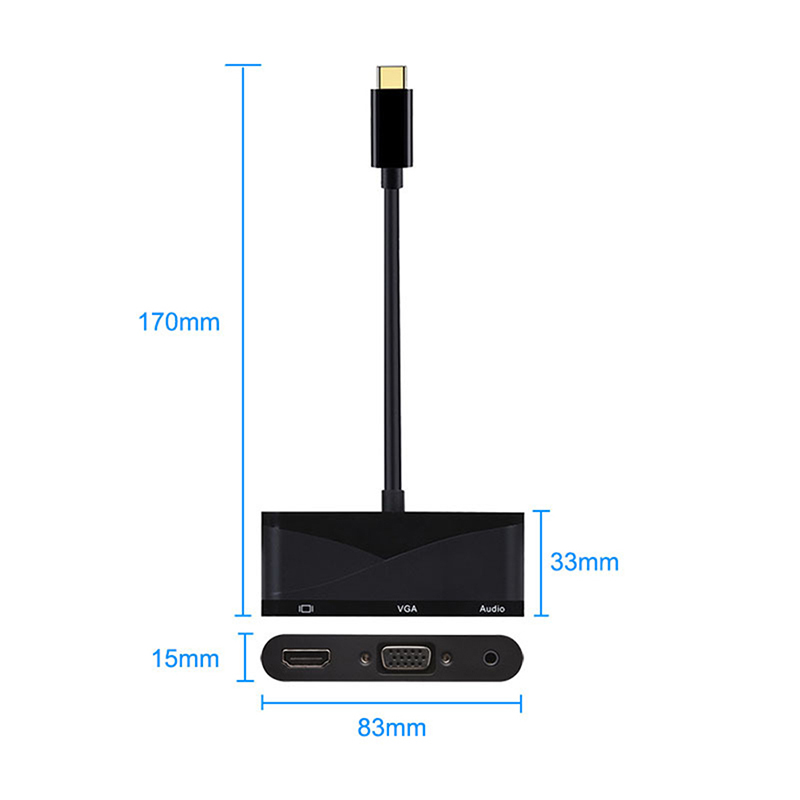 Applications: Widely used in: The latest generation of notebooks, cell phones, tablets with USB 3.1 Type C (DP mode) interface, through the conversion line is converted into (VGA + data + HDMI video) multifunction application output. 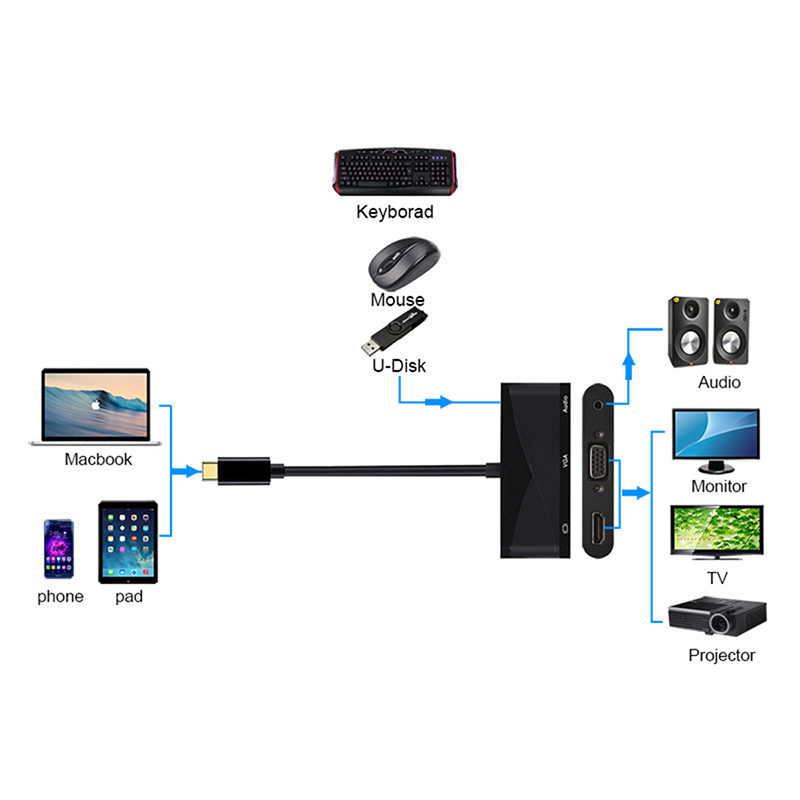 To solve the user’s perfect display device connection solutions, and PD, data and other functional applications.